If you’re reading this, you have probably been the victim of a truck accident in Florida, and you’re wondering what to do next. You may be in pain and unable to work, or lost your car after it was totaled in the crash. With all these things to worry about already, is it really worth it to sue the trucking company for your accident? After all, they’re used to defending their interests after a crash, but you’ve never done this before. company. This notifies the company that a claim is pending, and all evidence must be preserved for the court to see. Discovery. The next stage of your case focuses on gathering information, such as documents, driver logs, and witness testimony. Your attorney may take depositions from people who can give expert testimonies, such as accident reconstructionists or medical professionals. Mediation. At this point, your attorney will meet with the trucking company’s attorney to present your case. This is usually done with a neutral third party, or mediator, taking the information back and forth between the two parties. The trucking company may offer a settlement at this point, and if you and your attorney feel it is fair, you may accept. If not, your case can go to trial. Trial. If you decide not to settle, a judge will assign you a court date. Since these accidents are usually civil cases, the outcome will be decided by a jury. If the jury believes the trucking company or driver was at fault for your accident, they will decide how much your monetary award will be. Damages. If your case is successful, you will be awarded damages for your trucking accident, including monetary compensation for your injuries and payment for your damaged vehicle. 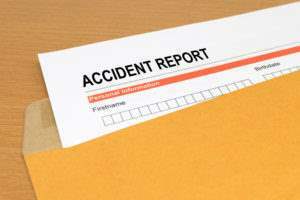 As experienced Orlando truck accident attorneys, we know that no two truck accident cases are the same. However, we also know that the majority of semi accident suits result in monetary awards for the victim in the smaller vehicle.